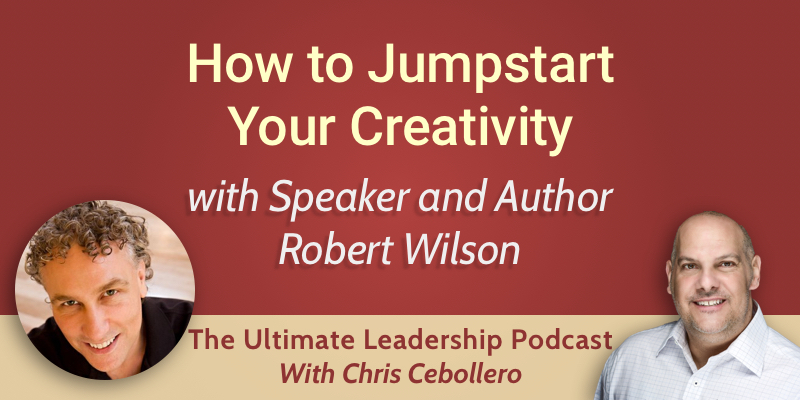 This week I am joined by humorist, speaker, and author Robert Wilson. Robert shares some really funny stories, and some wonderful advice on how to become a better storyteller and bring more innovation to your life, and to the lives of others. Robert tries to tell stories that make a point. He usually writes about achievement, motivation, leadership, creativity, and innovation. Most often than not, what he writes about is what he was dealing with that month. It may not be specific, but he might write on that topic area. He learns a lot from self-reflection and just putting it on paper helps him learn from it. Other people can learn from it as well. Robert has learned over the years that creativity is not a gift. From when we are small, we are constantly told to conform, and by the time we reach adulthood, many of us have repressed their natural creative abilities. Many of us believe that creativity is a gift, when instead it is a skill that anyone can regenerate at any point in time. You can learn how to re-stimulate your creativity. In Robert’s opinion, creativity is not just a skill, it’s also a lifestyle. When you are an innovator, you expose yourself to new things all the time: experiences, ideas. By doing so, you open new areas in your brain that otherwise wouldn’t be open. When that happens, you can make more connections. Sometimes people are afraid to bring their creativity forward. Creative thinkers are risk-takers. How do you become a risk-taker? You can start by taking baby steps. Innovators have been taking risks all their lives, so they are comfortable with doing that. You can start small in a number of different ways. For example, if you read the newspaper every day, and you never read a certain section, read it. If you drink coffee every day, switch to tea for a week. Switch hands when you brush your teeth. Write with your non-dominant hand. Taking risks means there is something that you can lose. You can start with baby risks, in order to get comfortable with that. It’s a good idea to keep a journal of our achievements. A lot of the times we forget a lot of these little things that we’ve accomplished, and it’s good to read them through and pat ourselves on the back from time to time. These little achievements build up and they allow us to start building the confidence to do more and more. We can also observe other people who are accomplishing what we want to accomplish. If we see these people, we can say “If these people are doing it, surely I can do it too”. Encouragement from others also helps enormously.